11 incredible Observatories that all space buffs must visit! The human eye can see millions of stars at night unaided when the skies are clear and light pollution is low. Unfortunately, high-end telescopes that you see it in more detail are major investments, and require a lot of finicky adjustments to see anything worthwhile. So why not borrow a professional's telescope and expertise? Observatories all across the country let visitors use their equipment and draw on the knowledge of their astrophysicists and educators. So to help you figure out how best to get up close and personal with the stars, we have compiled this list of the best observatory destinations and events. 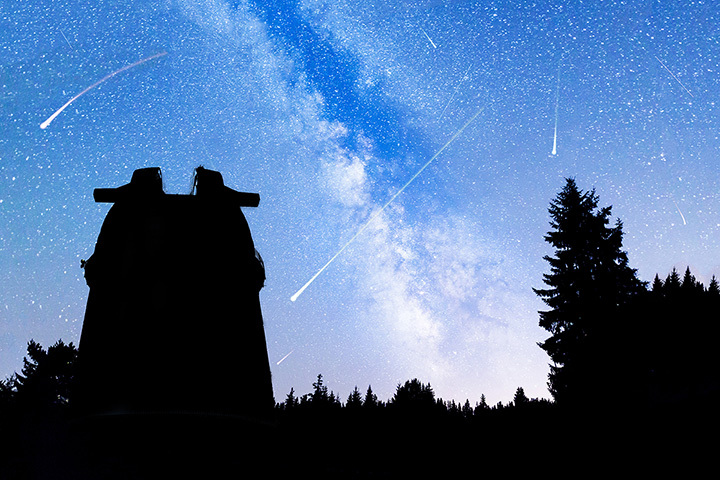 You don't have to trek out into the country for an excellent astronomical experience. Every Friday (weather permitting) Astronomy After Hours at the Museum of Science in Boston, Massachusetts lets all comers peek through the Gilliland Observatory's telescope located on the roof of the Museum's parking garage. The event runs from 7pm to 10pm from the first Friday of March to the last Friday before Thanksgiving. On the other hand, if you like your science to be a little rustic, the Pine Mountain Observatory in Bend, Oregon offers extensive viewing through a wide variety of scopes in an isolated location with few sources of light pollution. After looking through 32 and 24-inch scopes with the help of tour guides and smaller scopes, you can camp out under those same stars since the U.S. Forest Service maintains a free public campground just across the road. The McDonald Observatory in Fort Davis, Texas offers not just some of the best views of the Lone Star State's night skies, but also some of the most exciting family-friendly parties around. Three nights a week the Observatory, which is part of the University of Texas at Austin, hosts Star Parties where families can learn about space and look through several telescopes at the visitor's center. For a real treat though, be sure to check the schedule for when viewings through the massive 107-inch research telescope are available. Cincinnati, Ohio is home to a truly historic landmark in the Cincinnati Observatory (no really, it's on the national register). Housing one of the oldest operating telescopes in the first public observatory in the entire Western Hemisphere, the classic styling of the observatory's 1873 vintage architecture is almost as much a draw as gazing at the heavens. The "Birthplace of American Astronomy" is open to the public daily with no reservations, but also offers classes on astronomy and "Late Night Date Nights." When the Ancient Greek Philosopher Pythagoras coined the phrase "Music of the Spheres" he probably couldn't have imagined the event of the same name at the University of California's Lick Observatory. Located on Mount Hamilton, attendees will be treated to a chance to view the stars through a pair of historic telescopes and a talk from a world-class astronomer prior to a concert by world-class musicians. The Land Between the Lakes National Recreation Area is home to the Golden Pond Planetarium and Observatory. In addition to weekly events where lessons in the planetarium are followed by guided stargazing through smaller portable scopes. But the real "star" of the show is a state of the art Meade 16-inch Schmidt-Cassegrain Telescope with computerized controls. Most events only run through the spring and summer, so be sure to check the schedule online. 9:00pm to 10:30pm every Thursday and Friday the Dr. Ralph L. Buice Observatory at the Fernbank Science Center is the place to be for astronomy enthusiasts in Atlanta, Georgia. With free admission to the largest telescope in the Southeast, which happens to come with a professional astronomer who will be glad to both inform visitors and adjust the 36-inch telescope. Goldendale, Washington's Goldendale Observatory has all of the features you would want from a public observatory. It's on a mountaintop in its own state park, offers views of the cosmos out of multiple telescopes in two domes, and has an extensive education program. But it also has something unique: A Hydrogen-alpha telescope that lets visitors and astronomers view brightest star around: the sun. Frosty Drew Observatory operates one of the largest telescopes in one of the smallest states. Located in Rhode Island's Ninigret Park, Frosty Drew provides visitors with the chance to peer through a collection of modern and classic telescopes in the heart of one of Rhode Island's darkest spots. The Frosty Drew Observatory is also part of wider preservation efforts for the state's natural habitats, and makes a great way to cap off a day exploring the natural world. The Mauna Kea Visitor's Center offers a view on the night sky you can't find anywhere else. Located 9,200 feet above sea level near the top of the historic Hawaiian mountain, the visitor center is an excellent resource for learning about the environmental, historical, and astronomical significance of Mauna Kea to the native Hawaiian population. Every night at 6pm, the Visitor's Center hosts a Stargazing night where a wide range of recreational and professional telescopes are positioned to highlight some of the most interesting heavenly bodies in the region. You can't look directly through the telescopes at the Green Bank Science Center, but neither can the scientists. They're massive radio telescopes that scan the skies for radiation outside the visible spectrum. There is however, an extensive science center dedicated to explaining the scientific principals behind the huge marvels of engineering, which can point tons of steel at targets equivalent to the width of a human hair 60 feet away. Situated in the center of a 13,000 square mile "quiet zone" in West Virginia with limited radio transmissions, the Green Bank science center is the best place to learn about an aspect of astronomy that is usually out of the reach of hobbyists.